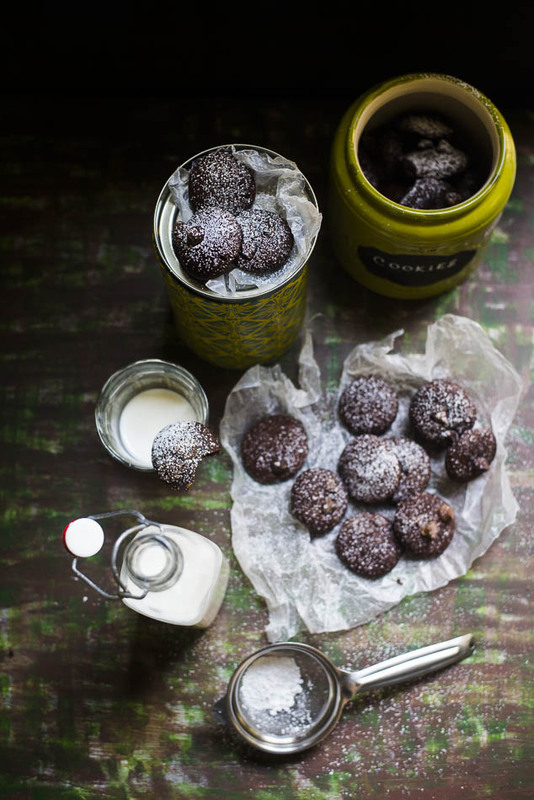 This time I am back with another dessert recipe, named Healthy Chocolate Avocado Cookies. Since I am posting dessert recipes regularly, you may think that I am a big fan of unhealthy diet. That’s not true,although I can’t control myself sometimes, especially when I prepare a delicious dessert for a party with my friends. Since our day-to-day food is healthy, balanced and less greasy. Whenever I bake cakes or cookies for regular eating , try to make it in such a way that it will have less sugar and no butter. So this time my health-conscious zero-figure friends don’t need to worry after hearing the word dessert because It’s made of healthy ingredients. 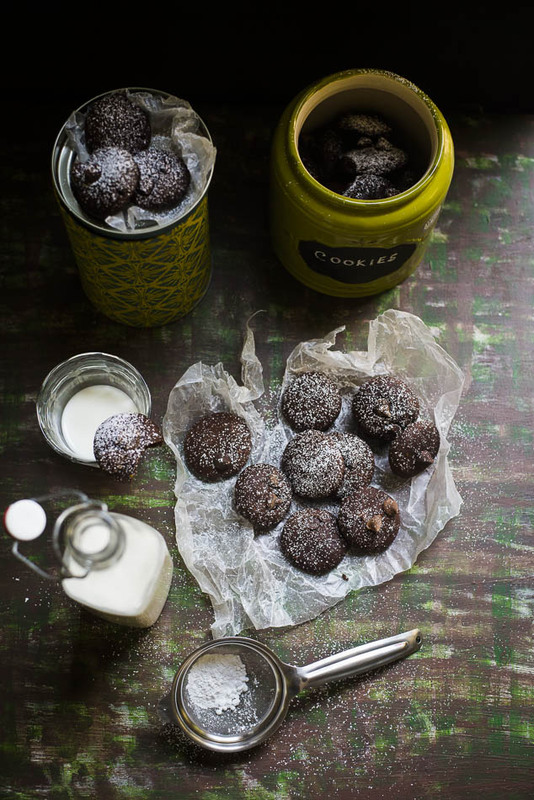 Chocolate Avocado Cookies are very rich, fudgy and very soft. They taste like bite-sized brownies and perfect for dessert or as an afternoon snack. It may sound weird that that I have used avocado in chocolate cookies, instead of using butter. I used mashed avocado only because it’s incredibly nutritious and a great source of healthy fat. 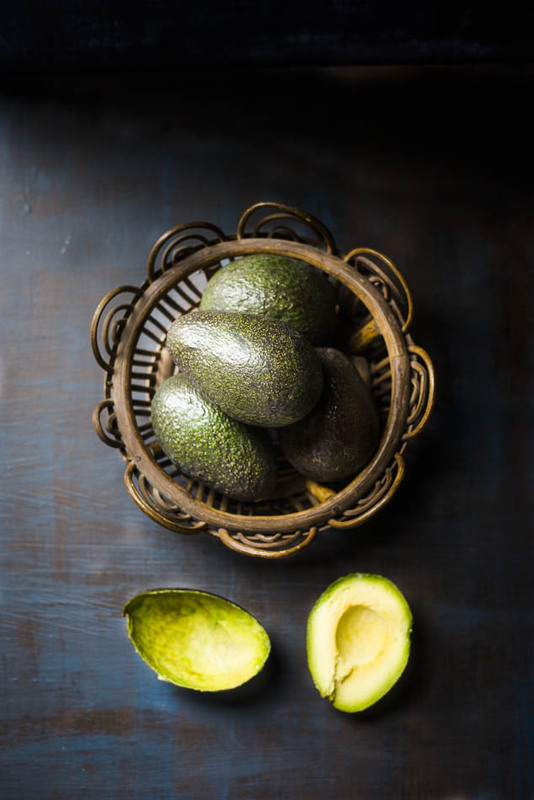 If you use mashed avocado in any baked goodies as a substitute for butter or oil, It gives a creamy smooth texture. At the same time adds the richness and moisture to it. Interestingly you will never know there is avocado in these cookies because it won’t interfere with the decadent chocolate taste here. As usual I had initial hesitation to try out this recipe but trust me they are best chocolate cookies I have ever made. Since this recipe is made with no butter, no milk and no eggs, we can call this recipe a great one for vegans. 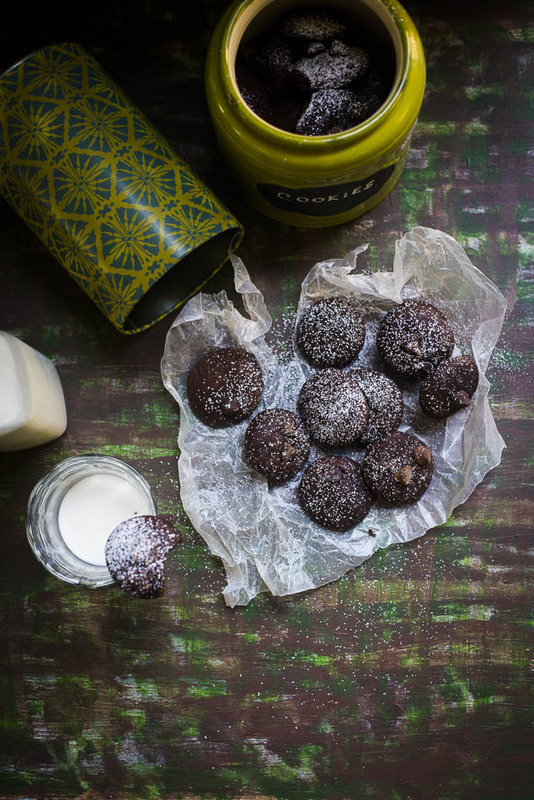 ( if you use almond milk in the place of milk ) So why is the wait, try this healthy Cookies and satisfy your chocolate cravings without any guilty feelings. 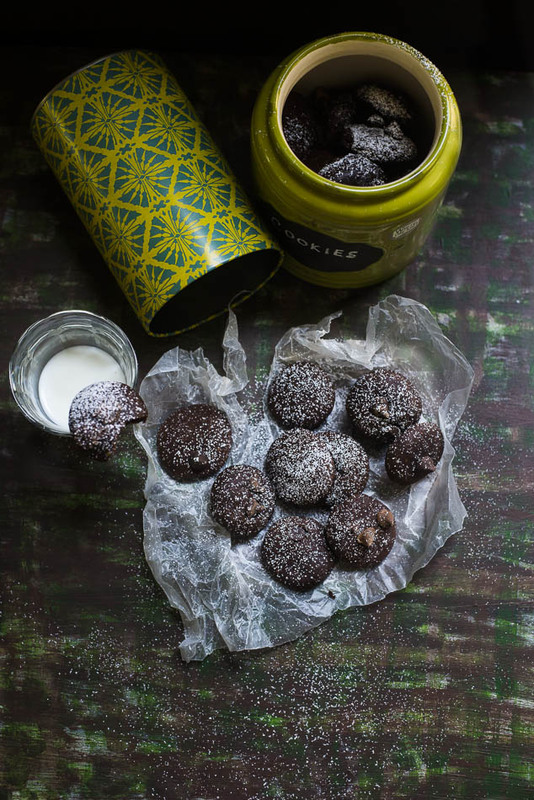 Recipe of Chocolate Avocado Cookies , Makes 2 dozen cookies. 2. Take a mixing bowl, add all purpose flour, baking powder and cocoa . Mix it well and set aside. 3.Take an another bowl add oil, two types of sugar and avocado. Beat it until it is creamy and smooth. Add vanilla extract. 4. Now add half of the flour mixture to the wet mixture. Mix it nicely . Add the milk, then add the remaining flour mixture and mix it well. Stir in the chocolate Chips. Cookie dough is ready. 5. Take one tablespoon cookies dough roll it into a smooth and round shape, then press it between to flatten it evenly and place it on the prepared baking sheet. Leave an 1 inch gap between each cookies. 6. Bake it for 10 to 12 minutes or until the sides are set. Let the cookies cool on the baking sheet for two minutes, then transfer to a cooling rack until it is completely cool.